Carriage Rides Northern Virginia | 703.855.4923 Dream Shire and Carriage Company serving Northern Virginia and Washington DC | carriage rides, carriages for hire, horse drawn carriage rides, wedding carriage rides, special event carriage rides, prom carriage rides, birthday carriage rides, funeral carriage rides, anniversary carriage rides. Dream Shire and Carriage Company is Northern Virginia’s finest horse drawn carriage company serving Prince William County communities of Manassas, Woodbridge, Dale City, Triangle, Dumfries, Gainesville, Haymarket, and Fairfax County communities of Fairfax, Fairfax Station, Clifton, Centreville, Chantilly, Reston, Herndon, Mclean, Vienna, Oakton and Washington DC, and Eastern West Virginia with top notch service to fit your budget. Perfect for Special Themed Character Events (Santa, Easter Bunny, Uncle Sam, etc. ), Community HOA events, Civic Gatherings, Church Activities, City Tours, Veterans Organizations, Charity Organizations, Company Parties, and Children’s Birthday Parties. Upon Request, the Carriage and Themed Character can travel to your Location! Dream Shire and Carriage Company was founded for our love of the horse. We are grateful each day to work in partnership with our Gentle Giants. We have a group of the most amazing Belgium, Percheron, and Paints horses, and a fleet of beautifully built carriages that will make all of your events the talk of the town. OUR REPUTATION SPEAKS FOR ITSELF! We have been in the horse business for over a decade. We can provide multiple units for your customized events. We are a family owned and operated business and strive to beat every competitor’s written quote! We have the capability to perform multiple events on the same day at the same time. Call us for scheduling. BAD WEATHER POLICY: MUST Call in and Email request to CANCEL 24 Hours in advance of your event date and event start time in the event of rain, high wind or an inclement weather forecast. We will reschedule your event or try to fit it in the next preferred date. TRAVEL POLICY: A travel fee of $125 will be added and paid in advance to any and all package prices for traveling to the city of Washington DC. Typical mileage rates are $1.50 a mile ROUND TRIP. Travel time is charged depending on your location. Call us for details. If you'd like to reach us by phone to discuss your upcoming event, please call our direct line 703-300-5036. Please leave a message if we’re on the other line and we will get back to you. 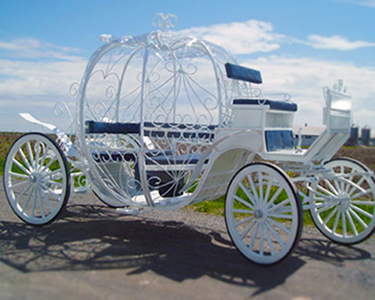 Thank you for your interest in Dream Shire & Carriage Company! Fill out our Contact Us Form for prompt response. We look forward to hearing from you. Licensed and Insured: Please note that we are fully licensed and insured. Being around horses can be dangerous. If you choose to participate in any horse activity you assume all responsibility. - Va. Equine Liability Act 3.1-796.130 et seq.